We just thought this Friday night was a good time to finally write down our musings about the GAP NZ (Greyhounds As Pets NZ) greyhound rehoming programme Director. 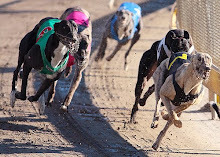 GAP has been established and is largely funded by NZGRA (New Zealand Greyhound Racing Association). Why tonight? Well because tonight, us from Nightrave have been blocked from GAP NZ Facebook page. How did it come to this? How can it be, that one of the most successful greyhound training places( Nightrave) gets to this? 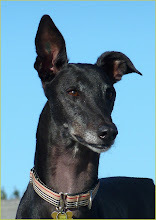 How come that GAP NZ, greyhound rehoming programme, bans the ONLY place which has a GOLD CGC NZ retired racer ? 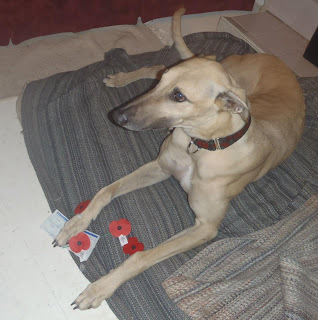 (our Lucy) :) Where is the 'promoting of the retired racers here???? Surely, any greyhound rehoming programme would work together with proven greyhound obedience trainers like Nightrave ones? Well not in the case of GAP NZ - Nightrave is largely ignored by GAP NZ management, due to the unprofessional and selfish attitude of Ms Eyley, a sad excuse for GAP NZ Director. Only this one person stops Nightrave greyhounds from contributing to GAP NZ. Sadly. So many of GAP staff and volunteers contact us and despair over this - but all we can tell them: talk to your Director. And all they can tell us: we can't. You would think that us, at Nightrave, hated greyhounds...? Surely? We must do, if GAP blocks us...? Last year, Fatima was not fired by GAP -but by an incapable GAP Dictator (ooops, GAP Director) who does not consult anyone from her team prior to making her insane decisions, based on her personal insecurities and agendas. This has ALWAYS been the case. We know for sure that a number of GAP staff, volunteers , owners and trainers have protested this firing, but all that has of course been ignored by Ms Eyley. At this stage, sadly, nobody can do anything about it, due to legislation, and the way GAP NZ has been legally set up. Since then , Ms Eyley has been very busy spreading nasty rumours that Fatima 'did not like greyhounds and did not support greyhound adoption'. :) We just laughed at that, and so did our friends both in GAP and in greyhound world in NZ - how can this be true, for someone who has 6 retired racing greyhounds, plus two racing ones; for someone who has fostered over 200 retired greyhounds, and has given thousands of dollars of donations to GAP NZ? Where does the supermarket begging money go to ? Why are the retired racers subjected to degrading supermarket begging? WHy with all the funding GAP gets from NZGRA , are the retired racers taken to supermarkets to beg? Also, ask her, as a Director of a NON PROFIT organization, whether it is true that she has NZ$200,000 in GAP account, while asking people to take their ex-racers in front of supermarkets to beg. Would any of those supermarket shoppers donate to the non profit charity if they knew the bank account balance? GAP is an awesome programme, which we of course support, as it is logical we would: we have racing dogs now and are licensed persons for NZGRA. Of course we would always support industry-formed and financed adoption programme and its founding mission. Of course we will always support rehoming ex-racers into responsible homes. Of course we will always support every GAP greyhound, whether the one who is rehomed by GAP, or the one who has been put to sleep (euthanized) by GAP (GAP has a very strict temperament test that 8-10% of greyhounds fail, according to GAP annual report, available for download on their website). We at Nightrave support ALL those dogs, all of them, whether they fail, or pass that test. We love and support EVERY SINGLE greyhound out there, whether homed by GAP or by someone else. Many of GAP staff, volunteers and owners are our good friends- and of course we will always support them and their work. We know the best all the trials they face. But, we will never support an incapable manager like Ms Eyley who has always struggled with basic management principles, while at the same time being extremely self-important in her role. She rules GAP like a dictatorship - only what she wants goes. All other ideas and projects are shut down by her. This has been a huge problem for a large number of her staff and volunteers during the years. It has affected the growth of GAP, and not in a good way . According to annual report and latest GAP Newsletter, if you compare the adoption numbers, it is evident that adoptions in the last year are actually DOWN compared to the year before, which goes against ALL trends in the world, when it comes to greyhound adoption . Ms Eyley seems not to be keen to comment on that. Why? Because for an adoption programme to fail like that, against ALL the trends - the fault is NOT with the general population, nor with the dogs, but with the management and the marketing that adoption programme uses. New Zealand is special -but not THAT special. GAP NZ is buckling ALL world trends re adoption -why? I will tell you: because of bad management and bad planning/forecasting done by a single person: its sad excuse for a Director, who makes ALL decisions. The fact seems to be that the racing industry itself has too much stuff to take care of, what with all the racing meetings all over the country, to just mention one thing they do. They are too busy with that - and they cannot be really blamed for sensibly leaving the GAP management to its Director and Board. We want to stress in no uncertain terms that we believe the industry itself (GRNZ) has the best intentions re GAP and retired greyhounds adoption; however , they seem to simply have no idea what is happening in GAP, and what funds that they provide are used for. They (possibly very sensibly) leave forecasting and adoption planning to GAP 'Director' - who is sadly hopeless, unprofessional and pretty much uninterested in either of these. To put it simply , GRNZ (Greyhound Racing Board NZ) is pretty much a victim here - unaware of the details of what the sad excuse for the GAP Director does with the adoption programme they heavily finance. An industry-formed adoption programme should be looking into the future, carefully forecasting number of racers retiring every year, and aiming to rehome them ALL, while making sure that adoption each year exponentially grow. Marketing should be done accordingly. Ignoring the fact that adoption numbers in the last year are down does not help the dogs -and this has recently been done by Ms Eyley, who quoted adoption figures in her latest newsletter, and she hailed them as 'success'. Yes , another lie. How can a reduced number of adoptions compared to the year before can possibly be hailed as 'success'?! Yes, it is good for 225 greyhounds that got rehomed (hopefully to responsible and good homes), but adoption programme financed by the industry must be thinking about others too, and about the adoption GROWTH. Anything else does not do justice to the dogs themselves, and to the FINANCE they get from the industry itself. Again - GRNZ is not to blame for this- they have the best intentions, they give huge amount of funding to GAP, and they choose to have faith. We hope they will realize the error of their ways, and somehow reorganize the adoption programme they finance. For those of you asking WHY we did not blow the whistle before -here is the answer: because we did not want to rock the boat. Because we felt the NZGRA funding was too precious and that it was paramount to keep GAP reputation intact. Because we have naively believed we could make a difference on our own, without the GAP Director being involved. Most of GAP staff believe this too, to this day. And this is why many of them carry on - for the love of greyhounds, while despairing over their incapable Director. Most of GAP team is wonderful, consisting of awesome people with great ideas; most of them have for years struggled with Ms Eyley's unprofessional and ignorant attitude. MANY of them have resigned too, or have been unceremoniously fired (via a phonecall of course). A number of GAP staff and volunteers are our dear friends too - we feel their pain. As I said: we have kept quiet. 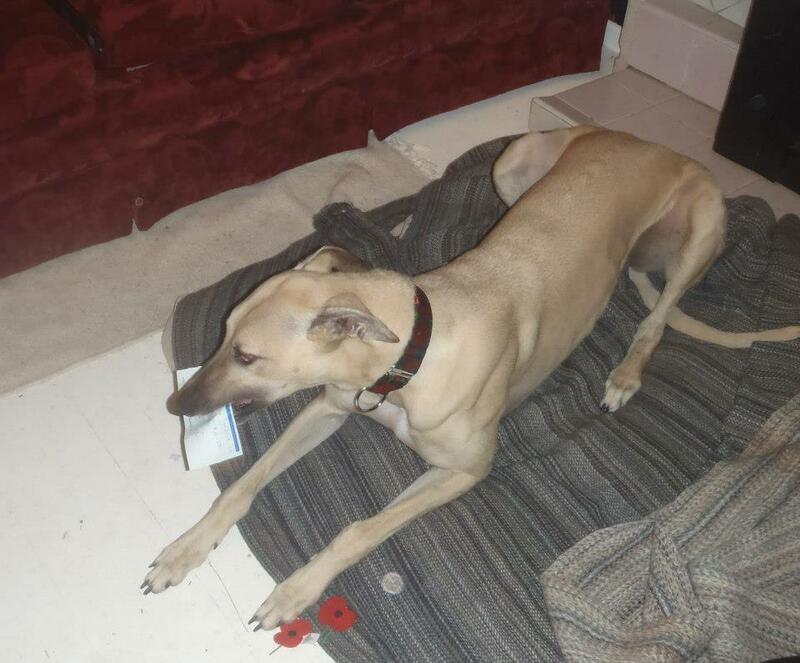 We have continued with our greyhound work (racing greyhounds, competing them in agility and obedience, as well as having them in pet therapy work) and we largely forgot about a sad excuse for "GAP Director', namely Ms Eyley. 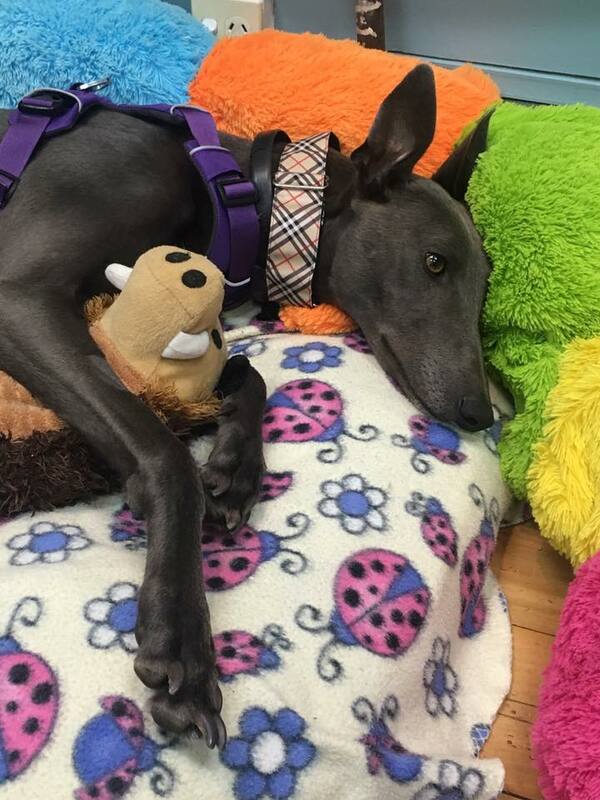 Tonight though, one of our friends, a greyhound lover, emailed us about a new job going at GAP : Auckland Region GAP coordinator. It was advertised at GAP FB page, and on GAP website, and you can see it here. Ms Margaret Judd , as far as we know, has RESIGNED. She is not leaving GAP as 'she is moving south'. She has been planning to move south for a while now, for a few years, and her GAP work was never supposed to be affected by that. In fact, she was looking forward to do MORE GAP work once she moved to Palmerston North. In this case, as far as we have heard from many sources, some of them from within GAP itself, Margaret Judd has RESIGNED rom GAP due to the way the GAP is run. As for Keenes: we have heard, from many independent sources, that they have resigned because of Ms Eyley, and are not interested in getting involved in GAP South Island (where they are moving to) as long as Ms Eyley is a GAP Director. GAP South Island has ONE (1) single person in charge. Keenes would have been very valuable down there -but they have refused ANY involvement with GAP anywhere, due to Ms Eyley's way of management. We have heard this from GAP staff/volunteers themselves - and we tend to believe it. People applying for this advertised position deserve to know the history re Ms Judd and re Mr and Mrs Keene. Everything else is deception. In our post on GAP FB, we have respectfully asked Ms Eyley to be transparent and to make sure that all new applicants for this position know the history, and to not be misled. As a result - Fatima has been blocked from GAP FB page, and her comment was deleted. We don't particularly care about this - we believe Ms Eyley will be gone from GAP in time and GAP NZ will move forward, and us at Nightrave will join a new GAP NZ , as partners and greyhound obedience trainers (please note that at this stage, GAP NZ has NO dog trainer employed. Pretty much the only retired greyhound adoption programme n the country has NO dog trainer on staff. Yes, this is true. All the retired racers that come to GAP have NO dog trainer to work with them, to help them, to help their new owners. Us). We however are worried about the applicants for GAP AKL coordinator position who will be mislead by the untruths told by Ms Eyley in her ad above. We believe there is legislation governing this -we are not experts though :) But lies are lies -there is no doubt about that. So if you know anyone in Auckland who you think might be considering this position -please forward this post to them, as they deserve to be told the truth, before they apply. How can anyone be expected to do a good job in this role, if they have been misled and lied to, to begin with?! For now, until this individual is in charge, we at Nightrave are blocked from GAP Facebook page. But, we will be back once this person is gone -and we hope and pray it will be soon, for dogs' sakes. 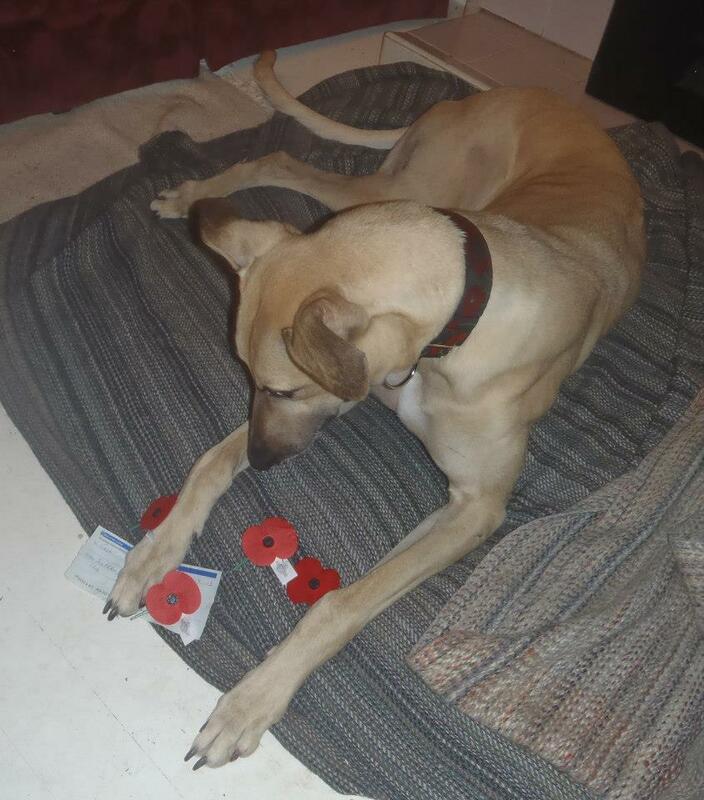 On a lighter note: Nightrave red poppy appeal has been a great success! 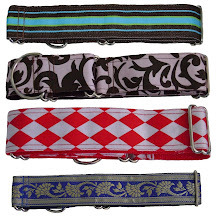 As some of you might know, Nightrave donated $8 for every poppy martingale collar sold to the Poppy Day Appeal. We have had a number of sales and we have written a nice cheque to RSA NZ. Below, our gorgeous Yellow (Gold For Thys) is getting ready to present the cheque. I better not lose this cheque! . From our teeth to your hand. We will remember! We will remember them at the going down of the sun, and in the morning. 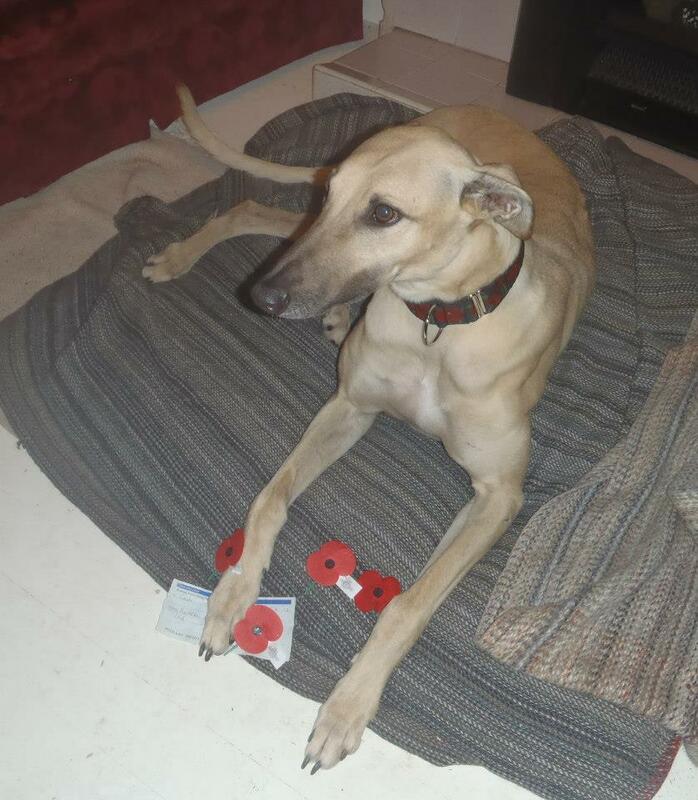 Please accept this donation from Nightrave Greyhounds.